Action & Aventure • Combat & Arts Mart. 1x05 5 As the Kazekage...! 1x15 15 Hidden Sphere - It is Named...! 1x29 29 Kakashi! Open your Eyes! 3x23 76 Akatsuki vs Team Asuma! 8x20 199 Enter the Five Kage! 9x24 229 Eat or Die! Mushrooms from Hell! 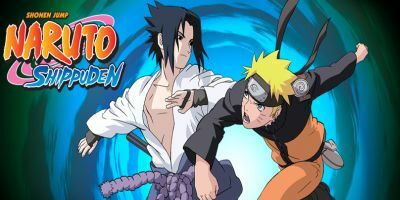 10x03 233 Enter Impostor Naruto? 10x11 241 Kakashi, My Eternal Rival! 10x13 243 Landing! Paradise Island ? 10x15 245 Naruto vs. The Nine-Tails!! 10x20 250 The Freak vs. The Monster! A Battle in Paradise! 11x12 268 Everyone's Fierce Battle!! 11x25 281 The Allied Mom Force!! 12x01 282 The Secret Origin of the Ultimate Tag Team! 12x03 284 The Helmet Splitter: Jinin Akebino! 12x04 285 User of the Scorch Style: Pakura of the Sand!